Credit: Gene Kaufman, Architect, P.C. Landmarks in 2004 approved design for building at the corner of Canal and Greene Streets, but financing fell through and 2007-issued certificate of appropriateness expired. 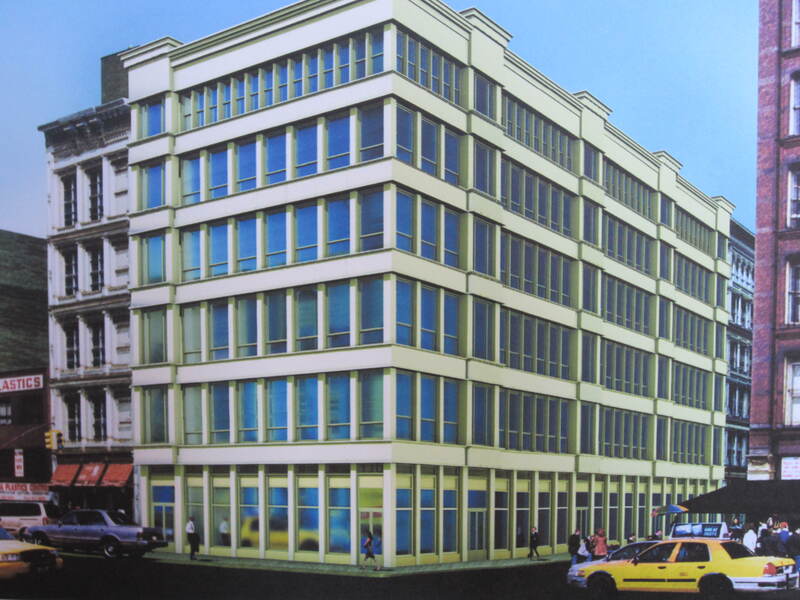 On June 26, 2012, Landmarks considered Donald Fishoff’s proposal to build a mixed-use, six-story plus penthouse on a parking lot at the corner of Canal and Greene Streets in the SoHo-Cast Iron Historic District. 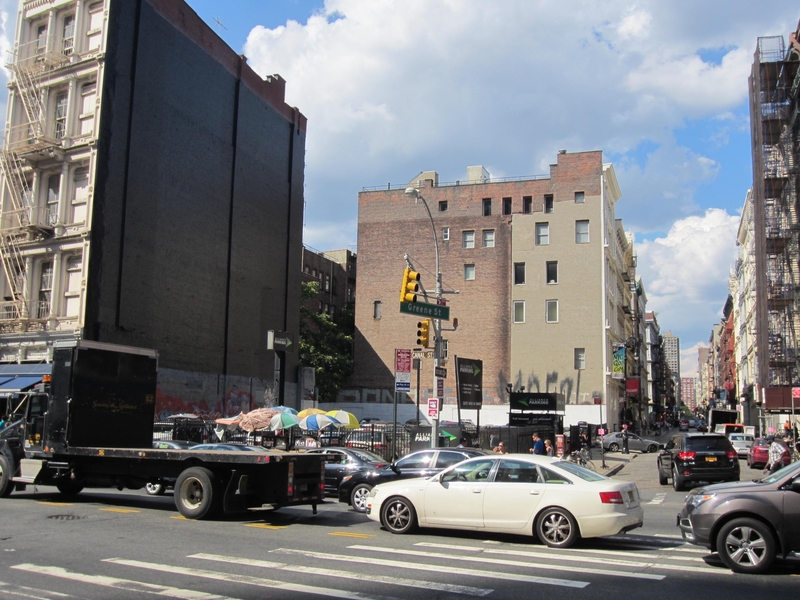 The large lot at 341 Canal Street has 172 feet of frontage along Greene Street and 65 feet of frontage along Canal Street. Landmarks in 2004 approved a similar project proposed by Fishoff for the site. Landmarks approved the original proposal after several revisions, and issued a certificate of appropriateness for the building in 2007. Fishoff also obtained City Planning Commission approval for a special permit to develop the 34-unit project in 2008. However, Landmarks’ certificate of appropriateness expired in 2010 before the project was developed. Fishoff’s current proposal matches the design and massing of the previously approved plan. At the hearing, attorney Howard Zipser, representing Fishoff, testified that financing for the previously approved development fell through due to the economic downturn. Zipser stated that while the current proposal was “technically a new application,” it was in all ways identical to the previously approved design. Gene Kaufman, the project’s architect then and now, explained that the building would be clad in aluminum and painted yellow. The ground floor would be devoted to retail use, while the upper floors would be residential. He said the building had been designed to fit the language, rhythm, and proportions of other buildings in the district. Chair Robert B. Tierney agreed with the commissioners, and asked the applicants to reconsider the proposal and return to Landmarks at a later date. LPC: 341 Canal Street, Manhattan (12-9676) (June 26, 2012) (Architect: Gene Kaufman, Architect P.C. ).